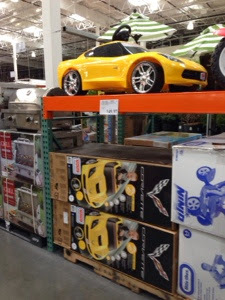 Grandma Fifi: Independent Costco and Aldi Blog: My Costco has Corvettes on Sale! Well, always scouting the frontiers of irresponsibility, that's us! What are grandparents for? I suppose it's entirely too early to start talking about lawn darts?